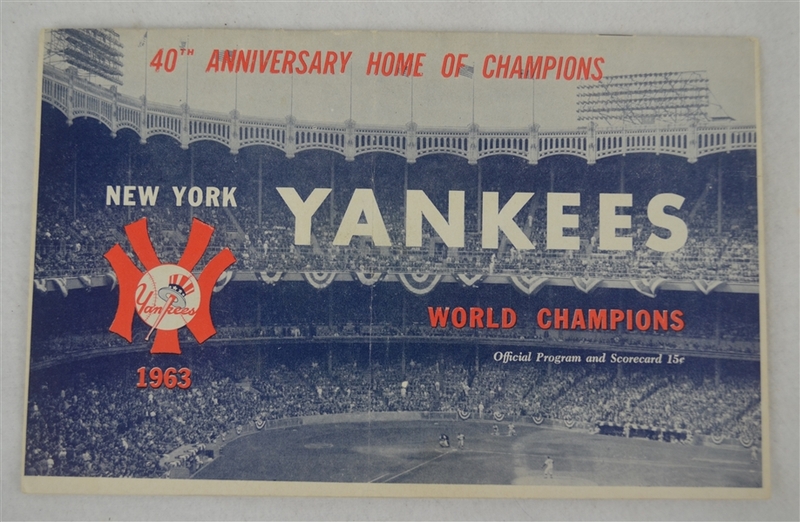 This lot features a 1963 New York Yankees program/scorecard which remains in nice overall condition. The 1963 Yankees were coming off of back to back World Series titles against the Reds and Giants. They would go on to make it to the World Series again in 1963 before losing to the Los Angeles Dodgers.